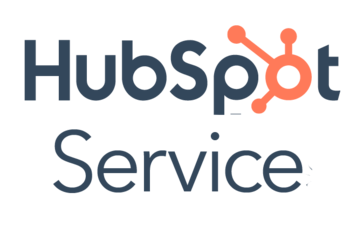 HubSpot Service Hub is customer service software that makes it easy to manage and connect with customers, and truly help them succeed. You’ll make customers happier, keep them longer, and grow your business faster. Work for HubSpot Service Hub? "Hubspot Service Hub review "
"Lots of things needs to be improved before it goes public. " The customer support team is frankly one of the best. Very cheerful and very friendly and most importantly, they take matters into their own hands and try resolving it like a true professional in every possible way. Kudos to them, especially Mengting, Brenda and the dude Casper! At the moment, you can skip but come back in say 6 months when their system would be top notch! Benefits and the USP of Hubspot service hub is their level of integration and all user data in one place. This frankly is great and helps us a lot. "HubSpot good or bad? " I like the Knowledge that they offer from building the website from scratch. I like that they have good insight and letting me know what is available and recommendations for the domain names to track the most attention. I like how they can take a small idea and help me snowball it into something terrific. The only problem I have had thus far is waiting to talk with an expert about my problem. Sometimes the wait times and availability is inconveniencing me. Just do your research and make sure that this product fits your needs. Please keep in mind if you were a brand new user or somebody that’s very familiar with making a firm decision for your company. The benefits of using hub spot service hub is that the recommendations and recognition I get by using what they set up is something I would not be able to do on my own. "Best value in the marketplace!" HubSpot's Service Hub is just flat out easy to use. From setting up tickets to running reports, it's all super efficient and flows right into the rest of the software. They also regularly add new features! Some of the analytics metrics around response time could be improved. Take advantage of the implementation coach and training resources - well worth the cost! We went from tracking support tickets in an Excel spreadsheet to tracking our customer journey in one location on HubSpot. This has been HUGE for us! "Has Saved Time and Energy"
I love how user friendly HubSpot has been for our Customer Success Team. It is very easy to log phone calls, emails, and notes in the system where everyone can see what has been going on with our customers. I do not like how a company can be created when that company already has a file. For instance, when I go to make a new contact and it has an email the same as another contact, HubSpot doesn't allow me to create the new one. I wish that was the same for companies so that we don't have a handful of the same company. I would definitely recommend this software to anyone who is in need of something to keep track of customer support. It's a great way for your team to see what has been done for customers and what could still be improved upon. "CRM made easy and intuitive"
Thank you for taking the time to write this review and thank you for using our new product! I'm so glad to hear that you have found the interface user face and the search functionality to be adequate! As far as room for improvement - does the software crash after certain activities within the platform or at random points. How often of these periods of down time occurred since you started using the platform? Thank you again for the review April! The service hub is great because it is the final piece to the puzzle. It puts everything in one place. It is still in beta pretty much so there is a lot of kinks that need worked out. Give yourself a few weeks and some hours to fully set everything up. We are serving our customer the best information right when they need it. "Really enjoyed experiences with this team"
Ticket tracking could be better. I find it tough to make sense of where the ticket came from. "Easy to setup on wordpress websites"
I recently noticed that the email screen signup invitation is popping up too soon and setting up to appear on exit is not working on most WP themes. can only work in 1 ticket at a time in the insurance office it's usually very busy with multiple things going on at one. I would like to be able to make notes on more than 1 ticket at a time. "Powerful CRM that gave me a lot of power as a support rep"
Servers are slow sometimes. Updates sometimes cause issues. Powerful CRM, ready for a lot of applications. Great for customer support. The benefits is automatic customer communication as well as a quick system that doesn't waste any time. keeping track of emails, responding more efficiently. HubSpot Service is always fast and reliable. Nothing. Never had a bad experience with Service Hub! I am able to get back to work quickly and the problem they have solved usually makes my work more efficient. Easy to use, intuitive, and easy to share Solutions and resolve issues. An easy deal with customer issues and collect analytics. Learning about HubSpot Service Hub? * We monitor all HubSpot Service Hub reviews to prevent fraudulent reviews and keep review quality high. We do not post reviews by company employees or direct competitors. Validated reviews require the user to submit a screenshot of the product containing their user ID, in order to verify a user is an actual user of the product. Hi there! Are you looking to implement a solution like Service Hub?